That is the slogan of the Ganondagan State Historic Site. More than 300 years ago, Ganondagan was the site of a flourishing, vibrant Seneca community. Though the original community was destroyed by the French in 1687, today there are countless numbers of people working hard to preserve the culture and history of a nation that played a vital role in the region’s history. 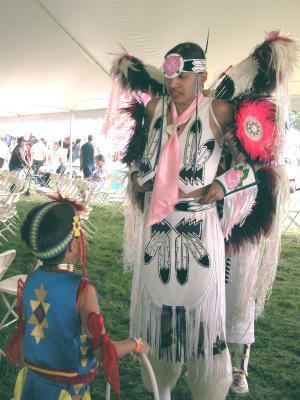 One event in particular, the signature event at Ganondagan, takes place the last weekend of July each year. 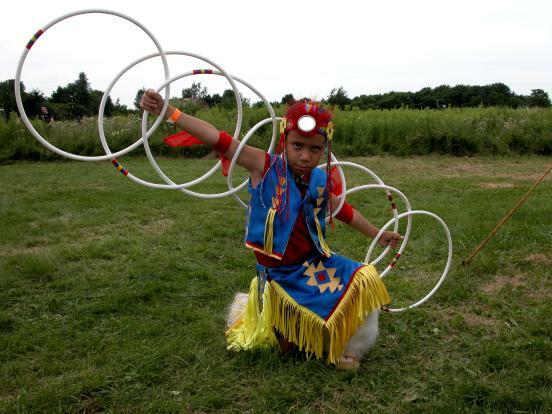 The 24th annual Native American Dance & Music Festival runs July 25 and 26 at 1488 State Route 444 in Victor and offers visitors a chance to witness and explore Native American culture ranging from music, dance, and storytelling to traditional crafts and foods. There are a wide array of activities planned, including events for children of all ages including hands on arts and crafts, a scavenger hunt, and more. This year, the festival features seven-time Native American Music Award winner Keith Secola, whose musical stylings are described as a cross between Neil Young and Bruce Springsteen. Also featured is the Ganondagan debut of the “ultimate Native Blues Duo” Twice as Good from California. Two traditional forms of dance and storytelling are to be featured at the festival. The first are Iroquois Social Dances, a type of performance generally led by a singer and dancers while those in attendance are invited to participate. The songs performed are typically in the Iroquois language. In a similar fashion the festival will have Native American Hoop Dancers. Hoop dances are one in which a dancer, using anywhere from one to 30 hoops as props, will form various shapes, symbols or formations, each representing an animal or storytelling element of some sort. Generally, these dances are performed by a solo dancer who has many hoops with them. The hoops themselves represent the never-ending circle of life. Festival hours are 10 a.m. to 6 p.m. Tickets are $12, $10 for seniors, $7 for students with ID, $5 for youth 3 through 18 and free for children 2 and younger. More information, including a full schedule of events, can be found at the Ganondagan web site.